We are proud to announce that our Healthy Retail Program has recruited 3 new markets on El Cajon Blvd! These markets are committed to making healthy, sustainable changes in the City Heights community– offering healthy produce, meats, and traditional foods to neighborhood residents. Mid-East Market is a family run business in City Heights run by the Ilaian family for over 25 years. Hani Ilaian and his son Nezar are extremely dedicated to the business. They sell a great variety of spices and specialty items, notably their local halal meats and fresh cage-free eggs. Looking forward, Mid-East Market is in the early stages of investing in an exterior improvement with help from the City of San Diego’s Storefront Improvement Program. Stop by to shop at Mid-East and be sure to keep an eye on the progress they continue to make! Visit Mid-East Market at 4595 El Cajon Blvd, San Diego, CA 92115. 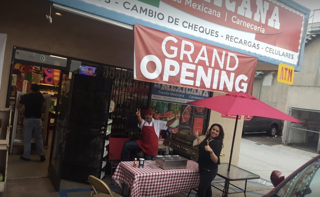 La Mexicana is a new, specialty market located on the boulevard that just opened in May of this year. La Mexicana has tremendous potential and we hope to assist them in marketing, promotion, and produce handling as they gain momentum. They sell marinated meats, dried goods, fresh tortillas, and produce right at the front door. Visit La Mexicana at 4575 El Cajon Blvd, San Diego, CA 92115. African Caribbean Food Market is a quaint market selling cultural foods of Jamaica, East and West Africa. Customers at African Caribbean tell us they can buy products here that they haven’t found anywhere outside of Jamaica. 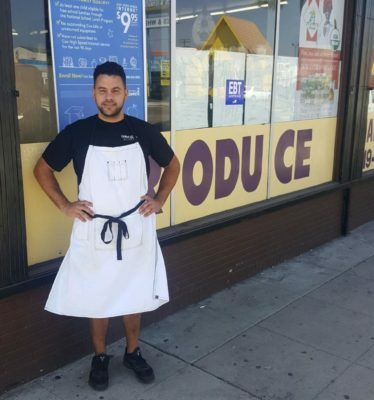 From the African soap operas featured on the market’s TV to the specialty foods– this market is a special one within the City Heights community. 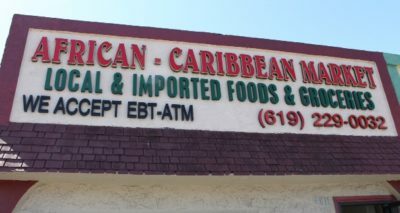 Visit African Caribbean Food Market at 4811 El Cajon Blvd, San Diego, CA 92115.